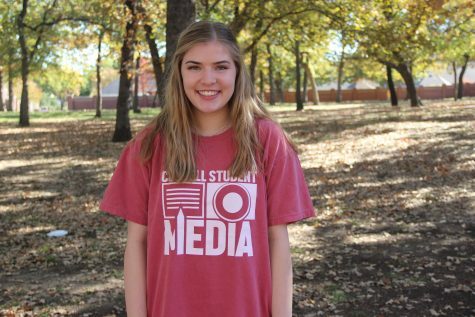 Coppell High School senior Maddie Weber cheers on another signee as they sign their letter of intent a on Monday morning. 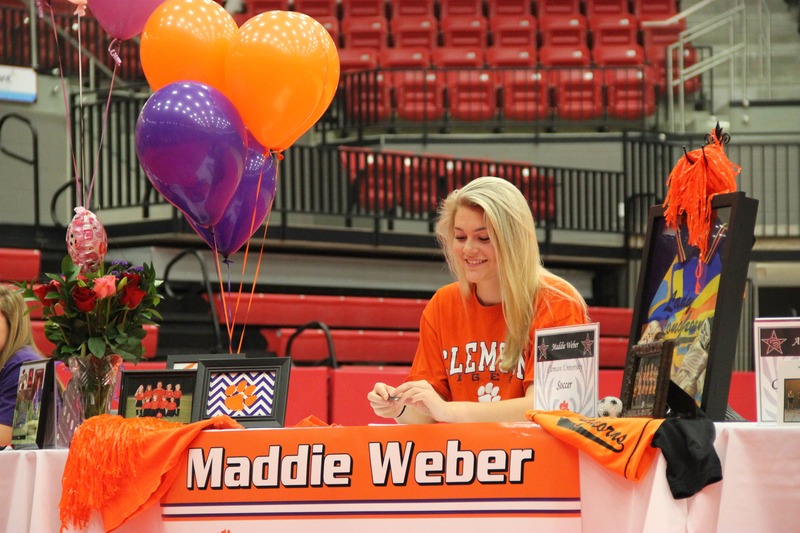 Weber signed on with Clemson University to continue her soccer career. In the CHS arena, 12 CHS seniors welcomed their friends and family to join them for National Signing Day. To say senior football player Kevin Madigan was excited to sign his letter of intent with Army West Point would be an understatement. 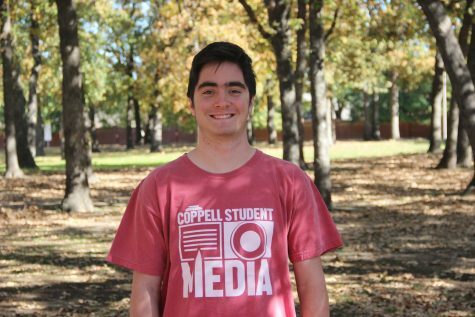 But for him and two other Coppell athletes of the 12 who participated in National Signing Day in the Coppell arena, the signature means more than just getting the opportunity to play at the next level. It was the start of a journey of service to his nation. “It’s something I take incredible pride in,” Madigan said. “My name will be on my chest, but I’ll be playing for my nation on my back. In addition to Madigan, senior track athlete Zach Dicken and senior lacrosse player Ripken Reynolds committed to Air Force Academy and Virginia Military Institute, respectively. Dicken will be required to serve five years of active duty, while Reynolds has optional service after he finishes schooling at VMI. For Reynolds, the thrill of signing his letter of intent only increases his excitement for the future. 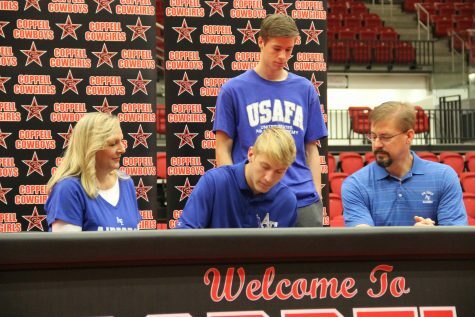 Coppell High School senior Zach Dicken signs his letter of intent to run track at Air Force Academy. On Monday morning, 12 seniors signed to their designated colleges with the support of their family and friends in the CHS arena. Another notable group signing to play college athletics was the four girls soccer players. With senior goalkeeper Maddie Weber committing to Clemson, senior defender Sarah Houchin signing with Auburn, senior forward Baylee Hux committing to Abilene Christian, and senior defender Erian Brown signing to Texas Woman’s University, Coppell girls soccer coach Ryan Dunlevy recognizes the years of dedication that culminated into this day. With these four seniors leading the team, the Cowgirls have started 9-0 on the season. In fact, they still have yet to allow a single goal on the year, a feat unmatched at this point in the season even by the 2014 state championship team.